During the Eucharistic liturgy – at the very least during the Eucharistic prayer – when Christ the Lamb of God is immolated, the face of the priest should not be seen by the faithful. Even the Seraphim cover their faces (Isaiah 6:2) when adoring God. Instead, the face of the priest should be turned toward the cross, the icon of the crucified God. This is excerpts from, analysis of, and audio of [I haven’t listened to it yet] of a talk given by our old friend in Washington DC, sponsored by the Paulus Institute. Why do we publish so much by Bishop Schneider? Well, we sponsored his visit, and I met him. Everything he said made excellent sense – while personally he struck me as being not merely humble, but infectiously joyful. (Reverence, I presume, is self-evident.) So whenever I come across something by him, I read it. And whenever I read it, I have the sensation of being hit over the head with The Truth, in the form of a hardwood 4×4. As a general rule, I tend not to read anything on the internet which starts with a number. If you share this prejudice, make an exception for this one. You’ll realise this fairly brief list also contains the rationale for things we know and love in the traditional liturgy, in ways that – at least for me – were wonderfully fresh, and in many cases new. On February 14, 2015, Bishop Athanasius Schneider of Astana, Kazakhstan, was sponsored by the Paulus Institute to give a talk in Washington, DC. During the talk, he proposed concrete actions — ten essential elements — which should be implemented to accomplish liturgical renewal. As an attendee, I was impressed once again by his excellency’s concern for reverence and piety in Catholic worship. Because of the deep value of the insights he presented, I would like to offer to you my own summary of his principle themes. Book Announcement: T&T Clark “Companion to Liturgy”, edited by Dom Alcuin Reid. …most of the authors represent the new wave of liturgical scholarship that is highly respectful of and dedicated to the Catholic tradition and, accordingly, skeptical about the rapid and ideologically-motivated changes that befell the Roman Catholic liturgy before and particularly after the Second Vatican Council. Ever since my copy arrived, it has been my devout intention to prepare a worthy review of this momentous and authoritative new book, the T&T Clark Companion to Liturgy, edited by Dom Alcuin Reid. But since the review may take a while to finish given my teaching schedule and the density of the book, I thought it best to offer at least a teaser of this magnificent volume — particularly in light of the announcement from the publisher, Bloomsbury, that during the month of February exclusively, people may purchase this book at a 35% discount, using the code LITURGY35. Are we smarter than St Augustine, who is said to have compared his attempt to understand the Trinity with a child’s attempt to fit the ocean into a hole he’d dug in the sand? Lately I’ve had a number of conversations about Mass in the Extraordinary Form; one, arising out of an on-line discussion on this article (which I mentally subtitle as “And That’s Why We Can’t have Nice Things”) echoes a debate I’ve had with a number of friends and relatives over the years. My usual response has been to say well, you have to remember it’s not primarily a conversation, and too much focus on the words risks missing the point. But I’m starting to think “understanding” is more complicated than it looks. 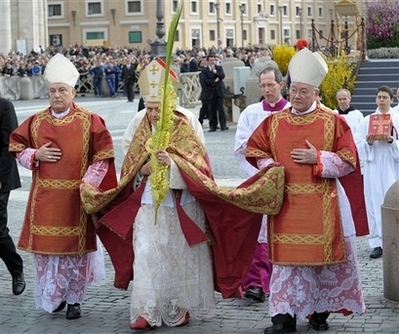 The height of confusion and absurdity manifests itself when such semi-heretical clerics accuse those who defend the purity and integrity of the Catholic faith as being against the Pope – as being according to their opinion in some way schismatics. Last week, Rorate Caeli interviewed His Excellency Bishop Athanasius Schneider, one of the most visible prelates working on the restoration of the traditional Latin Mass and faith, on numerous topics. In this wide-ranging interview, His Excellency thoughtfully expounded on issues critical to the Church in this great time of crisis. Read the entire interview so you don’t miss His Excellency’s thoughts on the current status of the SSPX,women’s participation in the Mass and the washing of women’s feet, whether Russia was ever truly consecrated to the Immaculate Heart of Mary, Summorum Pontificum and anti-pastoral bishops and much, much more. All may reprint/repost this interview — but you must credit Rorate Caeli. Our Lady of Guadalupe is not only the Patroness of Mexico, but the Empress of the Americas. Now I see more clearly Her plan to extend anew the sacred tradition of the Church throughout North, Central, and South America. Having just celebrated the grand feast of Our Lady of Guadalupe, I would like to recount in her honor a little bit about the apostolate of the Priestly Fraternity of St. Peter (FSSP) in her beloved country of Mexico. It all began when the English-speaking seminary of the FSSP was founded. Providentially — and seemingly without much discussion about it — Our Lady of Guadalupe was proposed as the titular patroness. As you may or may not know, Our Lady of Guadalupe is not only the Patroness of Mexico, but the Empress of the Americas. Now I see more clearly Her plan to extend anew the sacred tradition of the Church throughout North, Central, and South America. When I entered the seminary in 2001, I met my future confrere, Fr. Kenneth Fryar, who had lived in Mexico City for many years prior, attempting to found a traditional order of Franciscans Friars. As it was not in God´s providence to start the order at that time, he decided to join the FSSP, with which he was studying. Aware that he knew how to navigate through a country with a different manner of driving, I proposed that we go on a pilgrimage as a small group to visit our Patroness, Our Lady of Guadalupe, in Mexico City. And so, we took off from Nebraska in his car during Christmas break of 2002-2003. Oriens is the journal of the Oriens Foundation Incorporated. 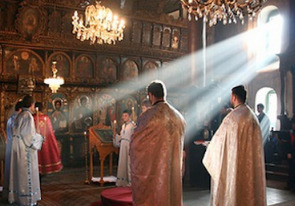 The Oriens Foundation promotes appreciation for, and understanding of, the traditional Latin liturgy as one of the foundations of Western civilisation. Oriens seeks to trace through history, art, literature and aesthetics the interaction between liturgical life and events past and present. The Oriens Foundation Incorporated (ABN 38 052 527 982) is a registered cultural organisation. Donations to the Oriens Foundation Public Gift Fund are tax deductible. 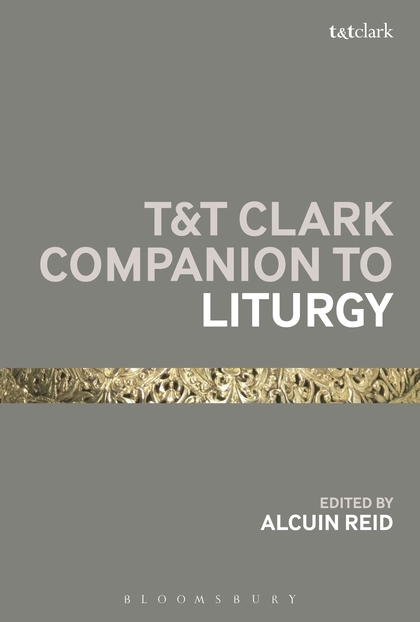 Book Announcement: T&T Clark "Companion to Liturgy", edited by Dom Alcuin Reid.